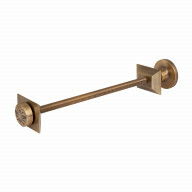 Thermostatic corner valves finished entirely in Antique Brass. Made to fit installations where the pipe connects horizontally into the radiator from the wall behind. Control valve (which must also be the flow or inlet side) fits to the right hand side looking at the radiator. This can't be altered with Niva. Thermostatic corner valve pair for installations where the pipe leads horizontally into the radiator from the wall behind. 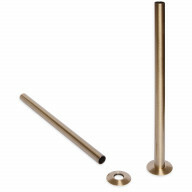 Finished entirely in Antique Brass, pair with Antique Brass Shrouds and Base Plates to cover your copper pipes and the hole in the wall to complete the look. These valves are unidirectional. The flow must enter the radiator through the control valve which fits to the right hand side looking at the radiator. 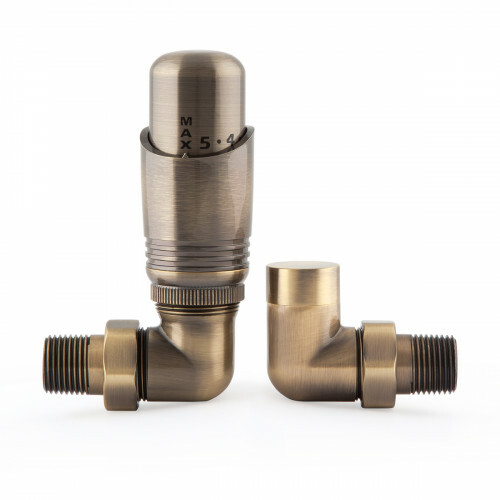 15mm compression fitting to half inch BSP tapered thread. Manufactured to BS EN215 uniquely for Castrads.